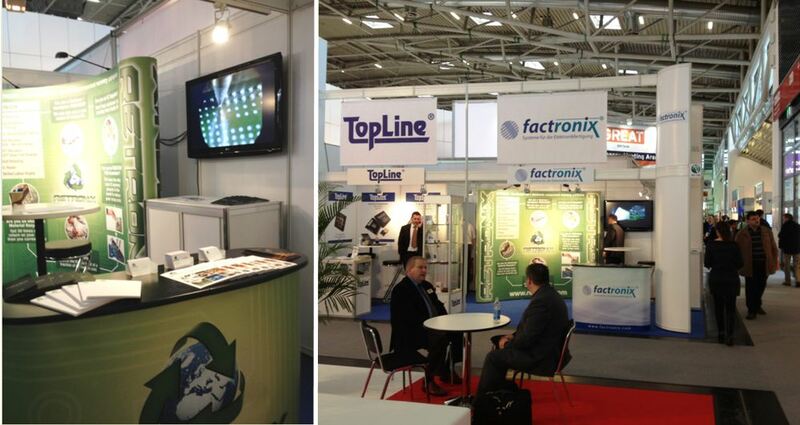 Retronix was an exhibitor at the recent Electronica 2012 held at Munich,Germany over 4 days from 13th - 16th November. Electronica is the biggest trade show for the electronics industry and is held every 2 years. 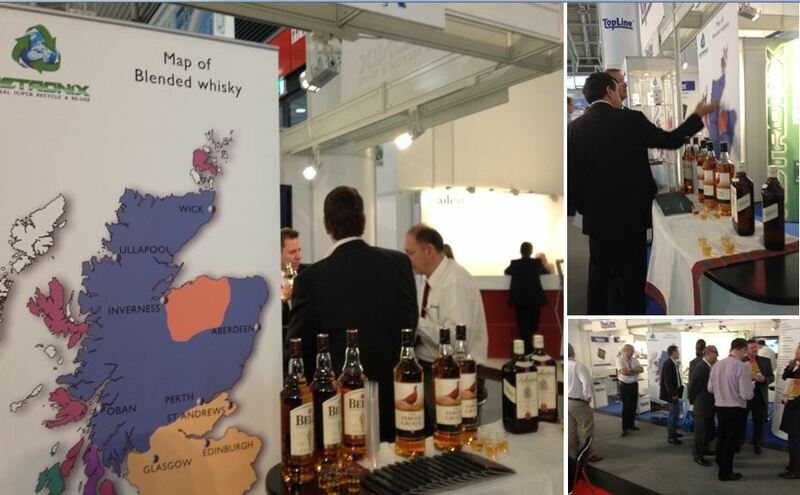 This year there were over 2600 exhibitors from over 49 different countries. Retronix was at Hall A6 | Booth 135 sharing a stand with the German partners Factronix and another company Topline. This blog gives out the experiences and thoughts over the first two days. Compared to the other big stands around; we were happy that our booth got a fair amount of footfall; right from people becoming curious after seeing the video that was looping, to down right sparkling pens along with notepads that were given away to visitors at the stand. The first day we saw at least 300 visitors of which we could safely say that 40-50 were real opportunities that Retronix could provide services to and vice versa. Also on the first day Mr.Tony Boswell | Founder of Retronix Ltd. spoke on 'How to safely recover ICs from obsolete and scrap PCBs' which generated a lot of interest as it a unique service only provided by Retronix Ltd.
On the second day it became even busier as expected as we started getting visitors as early as 9 in the morning wanting to know about our services and the company as a whole. Retronix having worldwide locations was also a factor as many of our visitors came from all parts of the world right from China, Korea, India, Israel, Russia, USA and many European countries. Retronix was prepared with all kinds of information packs and brochures so that specific services could be targeted to specific type of companies. We observed a trend that many companies from Asia were interested in our Anti-Counterfeit IC testing services and companies based in Israel and surrounding areas were interested in the Hi-Rel industry services that we provide. On both the days from 4pm-6pm we held a Scotch tasting event which we can term as a resounding success as each visitor not only got a guide to whisky by Retronix but also got to taste each type of pure original scotch from different regions of Scotland. This event was not only about the whisky tasting, many meetings and productive discussions on business were carried out and real positive outcomes in terms of business were signed and sealed. 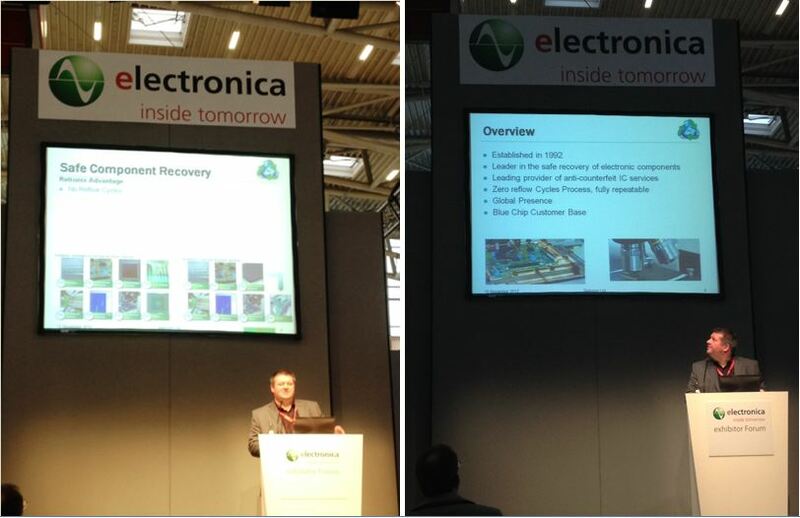 The first two days of Retronix at Electronica generated a lot of interest in services and the unique processes that Retronix has developed and were termed to be productive and successful. Retronix @ Electronica 2012 | Munich, Germany - Part II will follow soon.